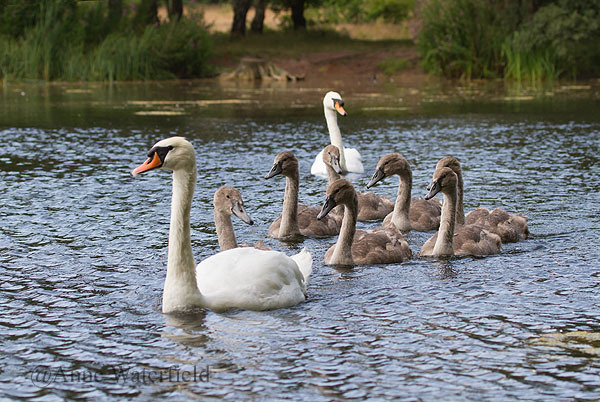 The Pond's pair territory is the pond at the far end of the lake, in 2014 and 2015 they have raised 7 Cygnets each year. (Hence the Magnificent Seven) Their location affords them no interruption from other Swans and apart from being good parents they always look well whilst they are bringing the Cygnets up. It was a good sight to watch them earlier on this year bringing the Cygnets onto the main lake to integrate, they came sailing up the lake 9 abreast, it was quite a sight.